I am a big fan. I met him in Dallas after heating his lecture. Lucj=ky you to see this new exhibition. IT is a Gorgeous Exhibit and I am in awe everytime I see a Portion of it. Dale is a wizard! Chihuly's work is so great! Have you even seen the art quilts my friend did based on some of his sculptures? 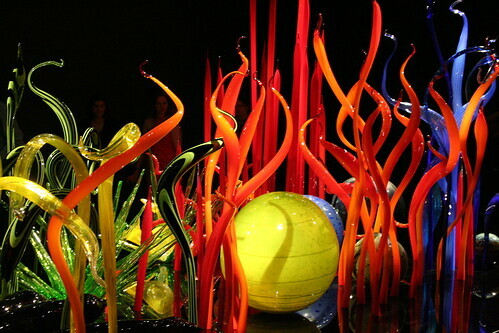 Just type in Chihuly on my blog to find her pieces. Wonderful!! Wow! Mille Fiori is an apt title. So beautiful.